First to come was Shantarakshita, abbot of Nalanda in India, who built the first monastery in Tibet. He was followed by Padmasambhava, who came to use his wisdom and power to overcome “spiritual” forces that were stopping work on the new monastery. Nyingmapa: Founded by Padmasambhava, this is oldest school, noted in the West for the teachings of the Tibetan Book of the Dead. Gelugpa: (The Virtuous School) Founded by Tsong Khapa Lobsang Drakpa (also called Je Rinpoche) (1357 – 1419), this tradition is headed by the Dalai Lama. Tibetan Buddhist practice features a number of rituals, and spiritual practices such as the use of mantras and yogic techniques. Supernatural beings are prominent in Tibetan Buddhism. Buddhas and bodhisattvas abound, gods and spirits taken from earlier Tibetan religions continue to be taken seriously. Bodhisattvas are portrayed as both benevolent godlike figures and wrathful deities. This metaphysical context has allowed Tibetan Buddhism to develop a strong artistic tradition, and paintings and other graphics are used as aids to understanding at all levels of society. Visual aids to understanding are very common in Tibetan Buddhism – pictures, structures of various sorts and public prayer wheels and flags provide an ever-present reminder of the spiritual domain in the physical world. The lay version has a strong emphasis on outwardly religious activities rather than the inner spiritual life: there is much ritual practice at temples, pilgrimage is popular – often including many prostrations, and prayers are repeated over and over – with the use of personal or public prayer wheels and flags. There are many festivals, and funerals are very important ceremonies. Lamas: A lama is a teacher. They are often a senior member of a monastic community – a monk or a nun – but lay people and married people can also be lamas. They are very often reincarnations of previous lamas. As well as being learned in Buddhist texts and philosophy, lamas often have particular skills in ritual. Tibetan Buddhism was much influenced by Tantra, and this has brought in a wealth of complex rituals and symbols and techniques. Tantra originated in India and appears in both the Hindu and Buddhist traditions. 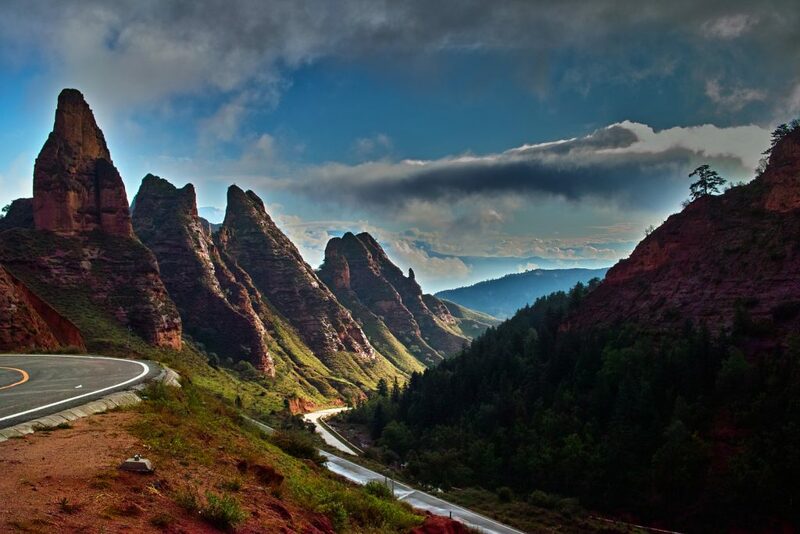 It brings Tibetan Buddhism a magical element and a rich portfolio of heavenly beings. It also brings a wide variety of spiritual techniques such as mantras, mandalas, ceremonies, and many varieties of yoga. Rituals and simple spiritual practices such as mantras are popular with lay Tibetan Buddhists. They include prostrations, making offerings to statues of Buddhas or bodhisattvas, attending public teachings and ceremonies. 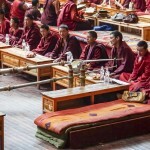 Tibetan temple ceremonies are often noisy and visually striking, with brass instruments, cymbals and gongs, and musical and impressive chanting by formally dressed monks. It takes place in strikingly designed temples and monasteries. 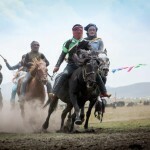 Tibetan Buddhism also involves many advanced rituals. These are only possible for those who have reached a sophisticated understanding of spiritual practice. There are also advanced spiritual techniques. These include elaborate visualisations and demanding meditations. It’s said that senior Tibetan yoga adepts can achieve much greater control over the body than other human beings, and are able to control their body temperature, heart rate and other normally automatic functions. Tibetan Buddhism emphasises awareness of death and impermanence. Everything is always dying – the cells of our bodies are dying even while we live, reminding us of our own impermanence. And all the living things around us are dying, too. This awareness should not produce sadness or despair, nor should it cause a Buddhist to start a frantic pursuit of the impermanent pleasures of life. Instead, it should lead the Buddhist to see the value of every moment of existence, and be diligent in their meditation and other religious practice. Awareness of death, combined with the understanding of the impermanence of everything, leads the Buddhist to realise that only spiritual things have any lasting value. Tibetan Buddhists use visualisation meditations and other exercises to imagine death and prepare for the bardo. They work towards a holistic understanding and acceptance of death as an inevitable part of their journey. Another way of preparing for death is to take part in helping those who have died through their experience in the bardo. This not only aids the dead, but enables the living practitioner to gain a real experience of the bardo, before they themselves enter it. Even those who cannot gain the spiritual awareness to have a consciousness of the bardo are helped by achieving a greater experience of the impermanence of everything. Bardo is the state between death and rebirth. 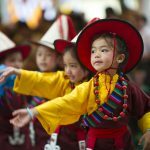 The different schools of Tibetan Buddhism have different understandings of this state which is regarded as lasting for 49 days. The experience of a person during bardo depends on their spiritual training during life. An untrained person is thought to be confused as to where they are, and may not realise that they have died. People are often unwilling to give up attachment to their previous life – and their negative emotions – may cause their rebirth to be less good than it would otherwise have been. In traditional Tibetan Buddhism, the dead person is helped through bardo by a lama who reads prayers and performs rituals from the Book of the Dead, advising the deceased to break free from attachment to their past life and their dead body. In some schools of Tibetan Buddhism, the lama will actively help the dead person to transfer their consciousness from their body, in preparation for rebirth. 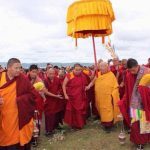 Many Tibetan Buddhists believe that it is possible for those left behind to assist the dead person on their journey by doing spiritual work that increases the merits of the deceased and thus helps them to a better rebirth. During the 49 day period the dead can see clearly into the minds of those left behind, which allows the living to help the dead by thinking good thoughts, meditating on Buddha and other virtuous beings, and engaging in spiritual practices. The immediate motivations of pilgrimage are many, but for the ordinary Tibetan it amounts to a means of accumulating merit or good luck. The lay practitioner might go on pilgrimage in the hope of winning a better rebirth, cure an illness, and end a spate of bad luck or simply because of a vow to take a pilgrimage if a bodhisattva granted a wish. In Tibet there are countless sacred destinations, ranging from lakes and mountains to monasteries and caves that once served as meditation retreats for important Yogin. Specific pilgrimages are often proscribed for specific ills; certain mountains for example expiate certain sins. A circumambulation of Mt. 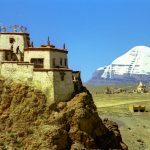 Kailash offers the possibility of liberation within three lifetimes, while a circuit of Lake Manasarovar can result in spontaneous Buddha hood.